A week ago today I was at a quilting retreat about an hour away, sponsored by our local quilt shop. Hours and hours of uninterrupted sewing. It was glorious. And to top it all off, we had RAIN! We barely recognized all that moisture coming from the sky. This was the view from our hotel room. We were hardly ever there. This was the view of our hotel, from our corner of the large sewing room. We always get a table that is right in the corner, with floor to ceiling windows. I shared a table with friends. We took this picture during a sunny break in the cloudy weekend. You might recognize Vicki from A Quilter's Mission, in front there on the left. And there is Deborah from Simply Miss Luella peeking out on the top right. I worked on blocks for different projects, never completing a single quilt top. First, I completed blocks for the friendship X and + block exchange with my partner in crime, Carla.The fussy cutting on this block makes me pretty happy. Then I made a few of these wagon wheel blocks. And coordinated my beverage container with the orange one. And finally started Gabe's baby quilt. He is nearly 2 1/2 years old. Oops. If you are wondering that this is, his quilt is a series of animal blocks all made from different configurations of the drunkard's path block. Genius. You can see what the finished quilt will look like here. During the weekend, I received an interesting text from our son. Always trying to wrangle an extra birthday present (his birthday is not until July). Not quite sure about the link he sent? Here. Let me enlarge it for you. Um, sorry. He did not get a present for being 13,000 days old. Terri tagged me in this picture. 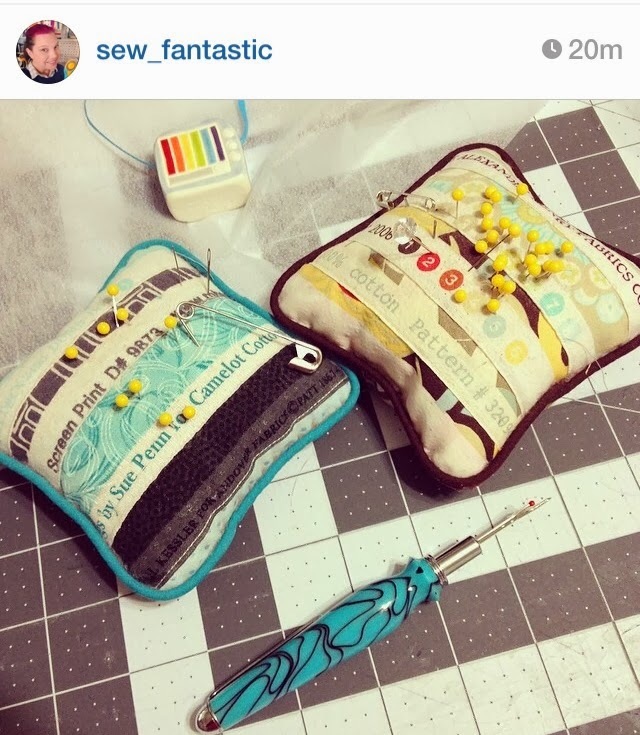 Those are my pincushions, and the seam ripper is made by Amy's husband. I have one of the seam rippers too--they are great! Jessie went to visit her sister in Dallas and came across this interesting ATM machine. I saw this in the grocery store next to the sewing room. No explanation needed. There were a couple of bags of fabric that were free to anyone who wanted to take them. I got some fabulous home dec weight pink leopard print. I'll use it to make something for my granddaughter. I left this one in the bag. And then I came home and could hardly wait to see these three. Your turn. 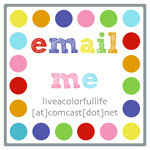 Remember to add at least one "random" item to your link, and link back here in your post. Love the fabric you left in the bag! P.S. The linky thing isn't active--just so you know! It looks like you had a productive AND fun time! I love the fussy cutting on the x&+ quilt. The animal quilt is darling too. I may have to try that one. 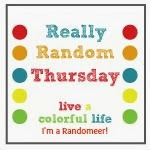 Love your blog, and your randomness has inspired me to do my own. Thanks! I'm so happy that you got to sew all weekend, Cindy! 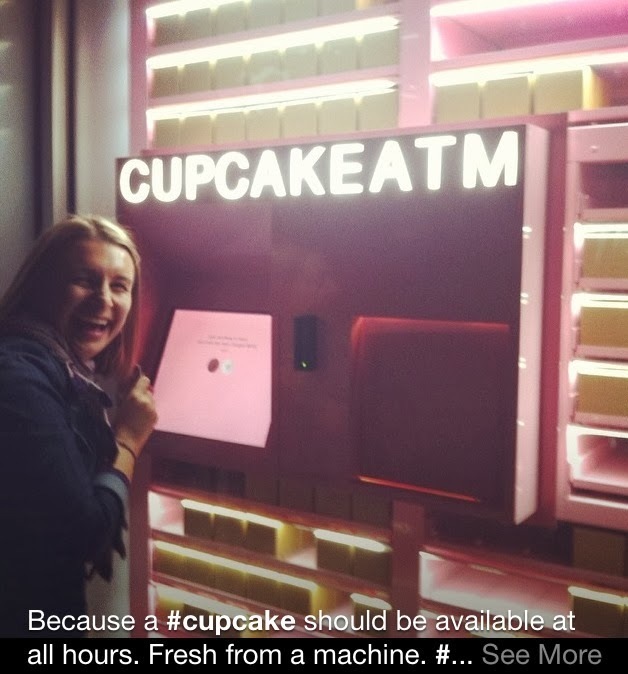 Thanks for sharing your randomness...wish I had that ATM in my neighborhood! It is a beautiful spot for a retreat, even with rain. I understand California has been in drought. So glad you got some. Us Australians know drought too well. My family are farmers. It's heartbreaking. Your middle grandchild has the deepest eyes! Very thoughtful and beautiful.